Don't Be Shallow is today's China Glaze House of Colour polish (it's a press sample, kindly provided to me for review)! it's a beautiful light blue creme that leans a bit periwinkle... depending on the light, it's a bit more bright or a bit more dusty, pulling it to the blue side or slightly purpley side. the color can't be faulted... the formula breaks my heart. for some reason it wants to pool towards the sides, leaving a place in the middle that's very patchy. thin coats are a must... but even so, the it's hard to work with, and the pooling still occurs. i needed three coats to get it mostly even, at that point a good topcoat took care the rest. be very careful and give this one extra dry time... even though i used quick dry topcoat, it took a REALLY long time to dry. it dries ultra shiny on its own... but i feel like it would never dry that way... so topcoat it is! three coats Don't Be Shallow, finished off with one coat Salon Perfect Crystal Clear Top Coat. 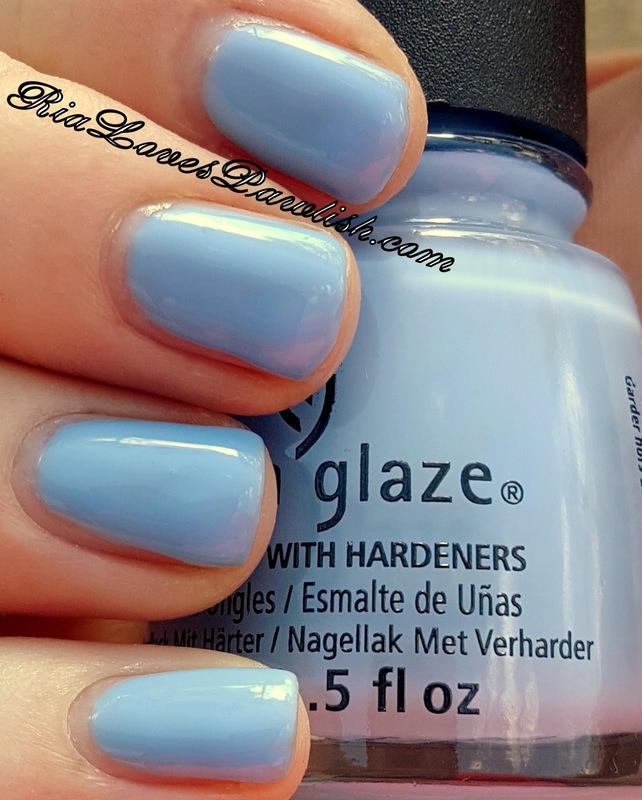 you can find the China Glaze House of Colour collection in Ulta and Sally Beauty Supply... make sure to check out China Glaze on their website, www.ChinaGlaze.com! SALE ALERT... Laura Geller Friends & Family Sale! OPI Is This Star Taken?